Come hear a national leader in urban street design speak at the University of Idaho. 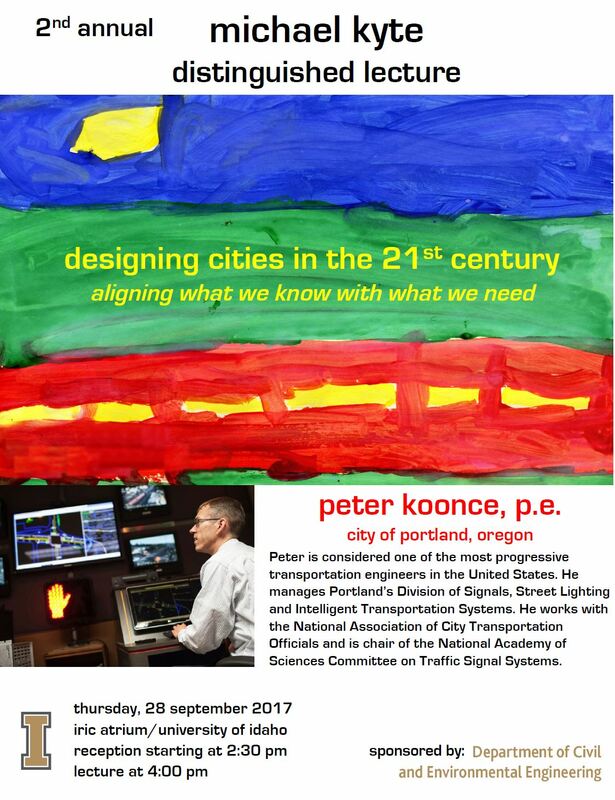 Peter Koonce from the City of Portland will be speaking as part of the 2nd Annual Michael Kyte Lecture Series. Peter will speak about city design, including his work with the NACTO Urban Bikeway Design Guide. Bike to Work Day recap & photos! National Bike to Work Day was enthusiastically observed for the ninth year in Moscow this May. Bike for Life was formed in 2009 by a group of Moscow bicyclists who recognized the need to celebrate the joy that comes with being on a bike. Local shops are happy to show their support by donating coffee and baked goods. Bike for Life members greeted the many friendly bicyclists at a well-travelled intersection, with free coffee, croissants and assorted bike trinkets.